At Liquor Connection, if you do not find the item you are searching for, we will happily order it! 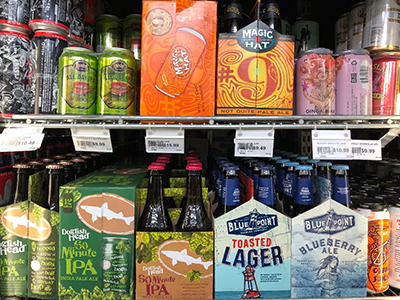 From liquor to beer, wine, and spirits, nobody is better at stocking parties than Liquor Connection! Liquor Connection of Milford, CT is a locally-owned and operated business, dedicated to serving the community with top-notch service, a huge selections of beers, wines, and spirits, and the best prices around! 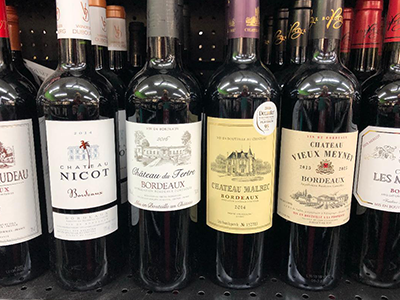 Our friendly and knowledgeable staff is here to aid you in any way that we can—whether you need some advice in choosing the perfect wine for a special evening or to carry your order to the car. Liquor Connection is always happy to special order any items not stocked on our shelves! “If You Don’t See What You Are Looking For We Will Order It!” Whether stocking your home bar, or planning for a party, wedding, or other special occasion, we have all the local, national, and international brands you love! Our specialties include all types of liquor, beer, and wine. We not only offer beer kegs, perfect for large gatherings and occasions, but amazing wines that will impress even connoisseurs. With easy parking for all of our customers, we make the process of stopping by Liquor Connection easy at our retail location in Connecticut. 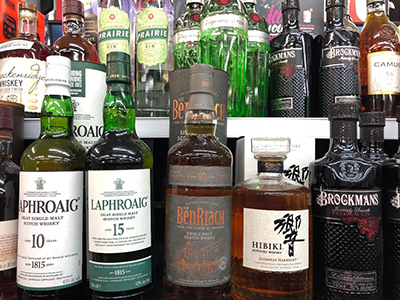 In addition to beer, wine, and spirits, we also carry cigarettes and cigars, mixers and snacks, and plenty of ice, making this your one-stop shop in Milford, CT to keep the good times rolling! If you have a large order for a wedding or other event, ask about our home and venue delivery services. Safety is always a priority, which means we ask that our customers never drink and drive. Are you planning a party, or even just a quiet night in with an amazing bottle of wine? When you need a high-quality local liquor store that is convenient for you to reach in Milford, CT, come to Liquor Connection!